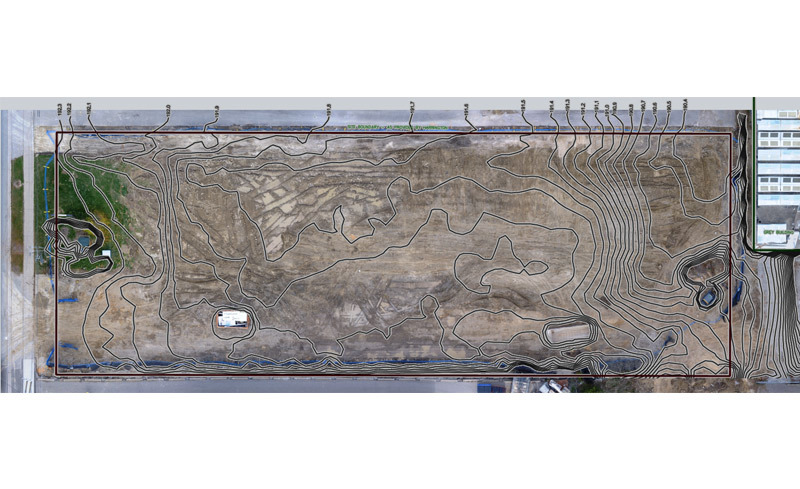 Case Study: Drones Revolutionize Parking Lot Construction | Enaeria Inc.
A lot of ‘buzz’ has been created by drones recently (pun intended), and there is good reason. The GPS guidance and gyro stability systems have made drones a useful tool for applications never seen before and the list is ever growing. Enaeria recently used this technology to scan a property being converted into a parking lot. 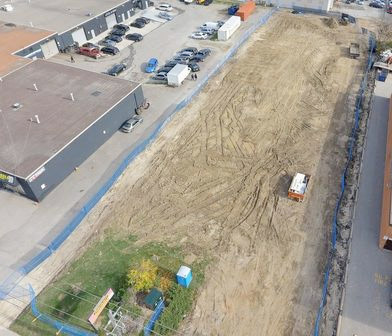 Harrington and Associates is a construction management company tasked with demolishing an old building to repurpose the land as a parking lot for a neighbouring property. 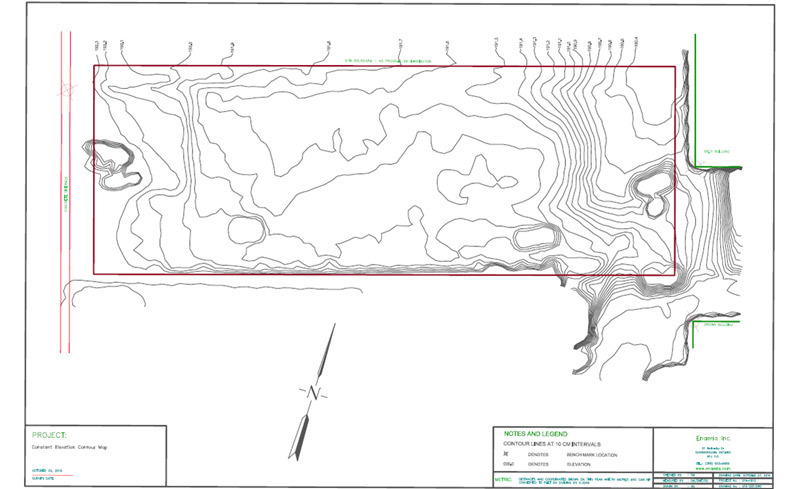 They contacted Enaeria Inc. and asked us to create a topographical map of the land after the demolition of the existing building. After setting a few benchmark points used for ground control, Enaeria flew the site with one of its drones. The drone took 3 minutes to collect all needed data for the site measuring 30 meters by 90 meters. The data was then processed to create a topographical map with elevation measurements at a grid spacing of less than 2 square centimetres. 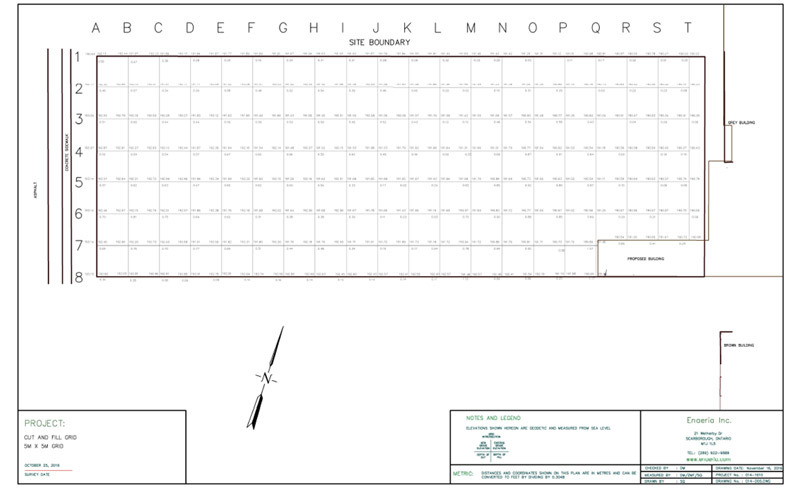 Enaeria was also provided with the design for the future parking lot outlining final surface elevations, catch basins, lamp posts, and curbs. 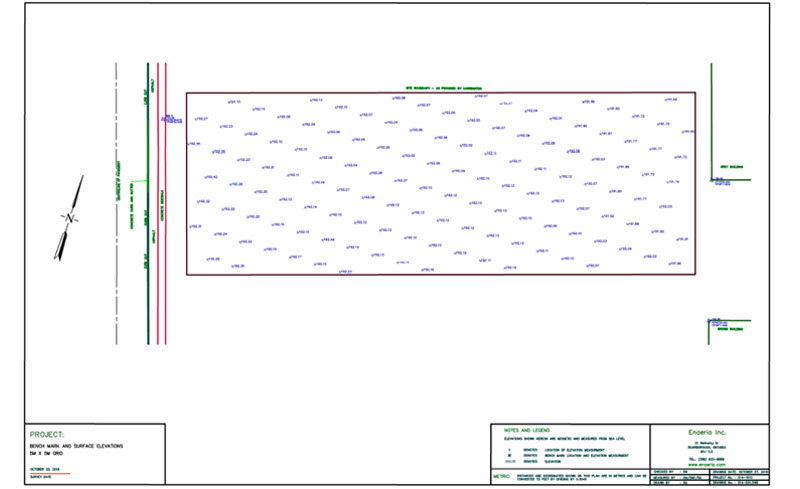 Enaeria used this data to build a 3D model of the design surface and superimposed it on the 3D model of the existing surface. We internally coined the term ‘difference surface’ which we found by subtracting the existing surface elevation from the design surface elevation at every data point. This enabled us to obtain a measurement for the amount of cut or fill needed at a grid spacing of less than 2 square centimetres. This project, like all projects, had a tight timeline which we were able to meet with ease. The project was a huge success and would not have been possible without great communication between Enaeria Inc. and Harrington and Associates. More information about drone construction services is available on the Enaeria Inc. website. More information about construction management services is available on the Harrington and Associates website.